Possibly a forgotten aspect in the art of record making, overall aesthetic considerations are something that appear to be rare in our modern music culture. As hundreds of thousands of albums get pushed out onto the unsuspecting masses each year, aesthetics, by which I mean the craft, attention to small details, overall atmosphere creation, track sequence and flow, etc., seem to either be forgotten in the process or never even considered at all. 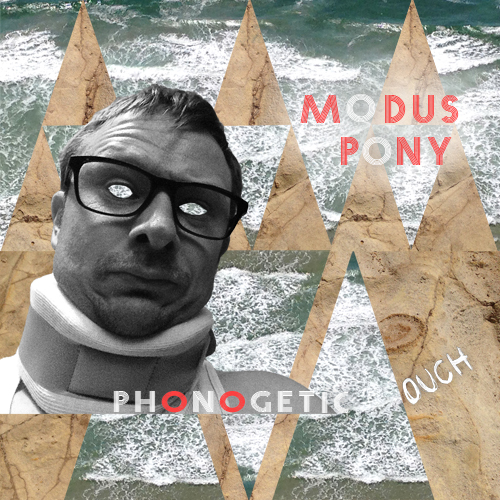 Phonogetic Ouch, the latest record by moduS PonY, picks up this neglected practice of artistically creating a record and molds it to fit his own brand of experimental music. 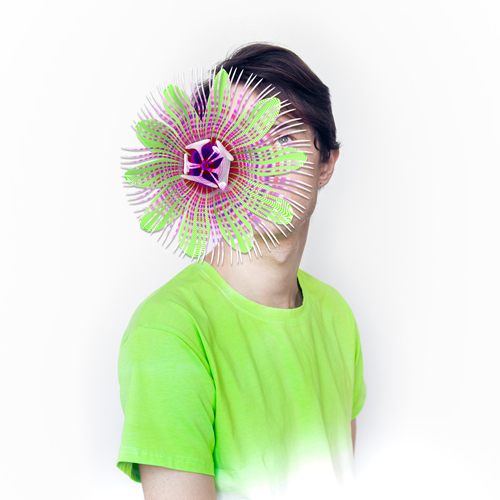 Phonogetic Ouch (PO) is a delicately crafted album with carefully layered tracks and a cohesive ambiance throughout, which gains momentum as it progresses. The songs are connected by a series of cool, clean, smartly played guitar lines that loop and weave throughout. One of the record’s strengths is the use of space and creating interesting layers of percussive and melodic lines that are minimal yet musically interesting at the same time. The album’s climax, “bananafest destiny”, pulls together these various threads and weaves them into one of the album’s strongest tracks. It kicks off with an interesting beat, focusing on unique percussive parts instead of the standard drum kit. A funky bass line lays down the track’s main groove, while various synths, samples, and guitar parts fill out the rest of the track’s space. And, surprisingly enough, it features a sing-a-long chorus, not something normally associated with the avant-garde. Other standouts include “yeah, that’s, ya know” and “protein”. The former starts out simply enough, with a rhythmically looped vocal sample and lone guitar line, but soon builds to a wonderful cacophony of synths, bass, guitar lines, drums, and other ambient noises. About midway through, the track takes a turn and locks into a nice, easygoing groove. “protein” gains it’s interest in the contrast between Trent Reznor-esque synth lines (The Social Network and Ghosts I-IV) and the carefree guitar parts found a bit later on in the track. As with prior releases, there is a hint of a larger social commentary underpinning the music; on consumerism, pop culture, imperialism & banana republics? 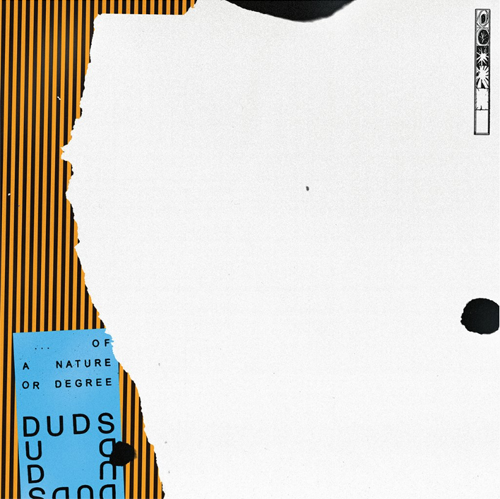 While there aren’t enough clues to know for certain, this album does what all great art does and creates the atmosphere and subtext for such ideas to percolate in the listener’s head of their own accord. Whether it’s sampled advertisements at the end of “looking at Chevrolets...”, bringing up the gun debate in “spilling Manwich on the gun debate”, or looping a narrator's voice over what sounds like 70s game show music in “fresh business”, there appears to be something larger occurring here. Phonogetic Ouch is available in tape and digital formats via Strategic Tape Reserve. Stuff & Things by Carl Laukkanen.